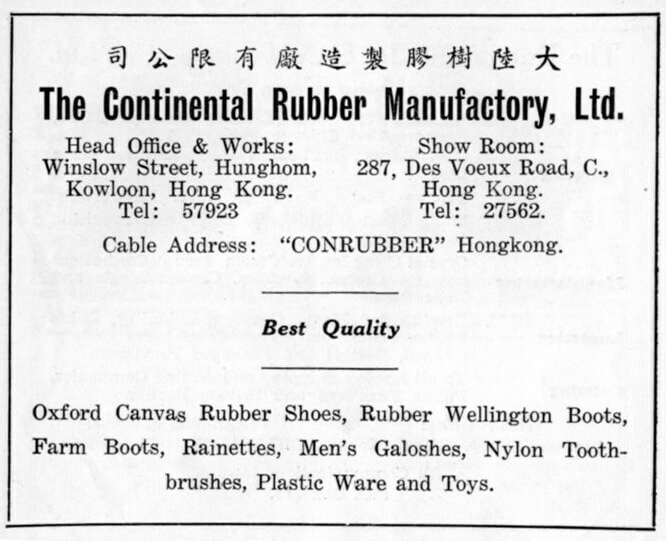 This is an advertisement of Continental Rubber Factory Ltd. published in the Pictorial Record of the 7th Exhibition of Chinese Products, promoting the products of the company and the its exhibition booth in the venue. This factory was established in 1938, at Winslow Street, Hung Hom and a sale office on Des Voeux Road. The factory produced rubber shoes, sores, bicycle tires, No.18 electric wire of rubber cover, etc. 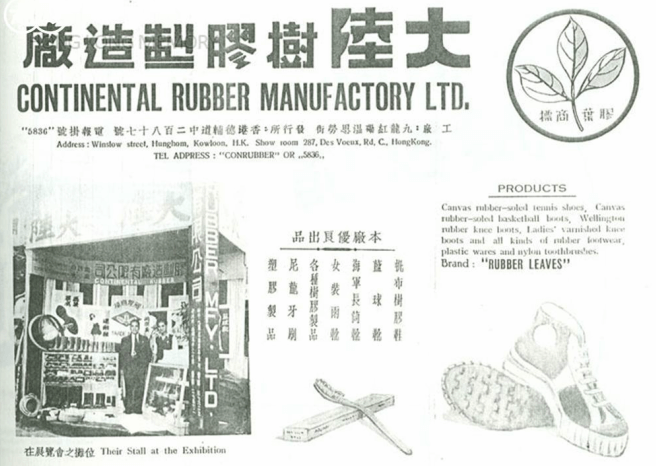 Its products were attached with a trademark of a rubber leaf, exported to British territories in Africa, India and Southeast Asia. Source of this image: The Chinese Manufacturers’ Union, Pictorial Record of the 8th Exhibition of Chinese Products, Hong Kong: The Chinese Manufacturers’ Union, 1950-1951, after “List of Exhibitors”.